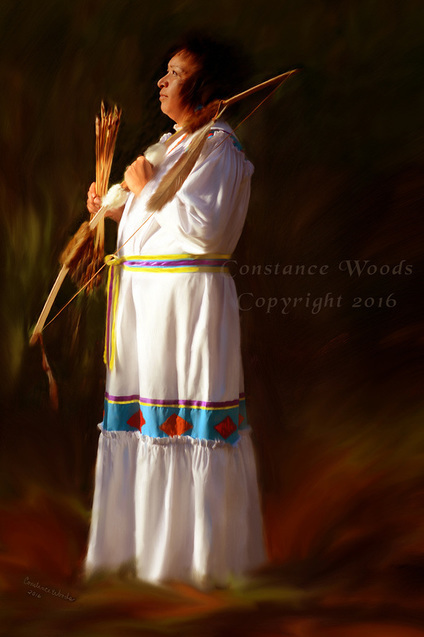 "Peace Warrior" This portrait is speaking prophetically of the beautiful work that Yahweh is doing in restoring the First Nations People. I had the honor of working with this Cherokee woman, to capture the essence of who she is in Christ. She is powerfully anointed by YHWH. This is the first completed work in the Native American Warrior Bride Collection.